Looking for the perfect grab and go snack? Try these Homemade Hazelnut Energy Bars from Tidy Mom! 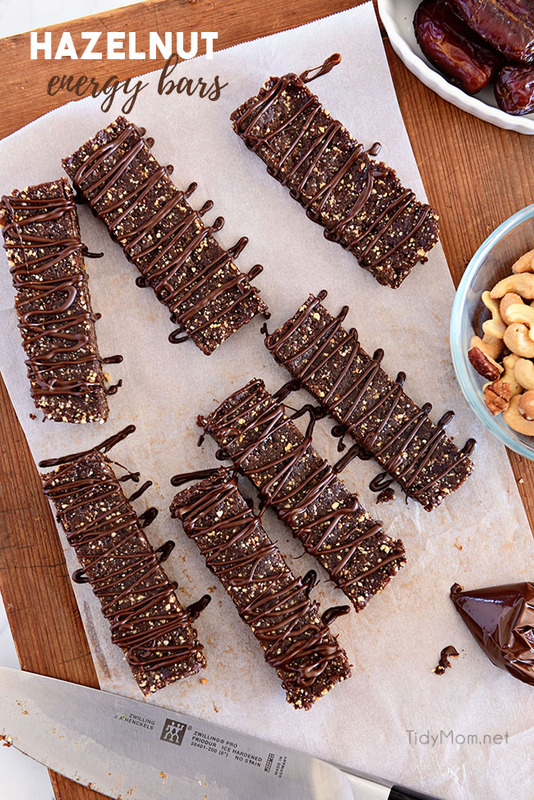 These energy bars are packed with hazelnuts, pecans, cashews, and chocolate. Full of protein that comes together within minutes. It is an easy no-bake treat that is filled with simple ingredients.